"We don't manufacture any ideas. That is not our business. Therefore we present this Bhagavad-gītā as it is. As it is. We don't change it. Why we shall change? We are not greater authority than Kṛṣṇa. Whatever Kṛṣṇa has said, that is perfect. Why shall I change it? There are many rascals, they change the meaning, the interpretation. But that is misleading. You cannot change. Everything is very clear. Just like you do not require a lamp to show the sun. The sunshine itself is quite bright to see sun. If anybody says, 'I have brought one lamp. You can see,' this is nonsense." "Ācāryas will never say, 'I think.' 'It is in my opinion.' No. Such things are not accepted. No personal opinion. It must be supported by Vedic evidences. That is called paramparā system, genuine system of understanding. As Kṛṣṇa says, evaṁ paramparā-prāptam imaṁ rājarṣayo viduḥ (BG 4.2). No change. Therefore we are presenting Bhagavad-gītā as it is. We do not change. We have no power to change. Then where is the authority of Bhagavad-gītā? I am a third-class man, and if I change the statements in the Bhagavad-gītā, then where is the authority of Bhagavad-gītā? That is going on." "We are therefore presenting Bhagavad-gītā as it is. We do not change. Why should you change? What right you have got to change? If Bhagavad-gītā is a book of authority, and if I make my own interpretation, then where is the authority? Can you change the lawbook according to your interpretation? Then what is the meaning of that lawbook? That is not lawbook. You cannot change. Similarly, if you accept Bhagavad-gītā as the book of authority, you cannot change the meaning. That is not allowed. What right? If you have got some opinion, if you have got some philosophy, you can write in your own book." "So the same thing, what was spoken five thousand years ago by Kṛṣṇa personally, we, Kṛṣṇa cons..., we, Kṛṣṇa conscious men... Because we are known in the world as Hare Krishna People. They write in the newspaper, 'The Hare Krishna People.' So our preaching is the same. We don't change. We present, therefore, Bhagavad-gītā As It Is. Kṛṣṇa says that everyone should surrender unto Him. We are preaching the same philosophy, that 'You surrender to Kṛṣṇa.' Kṛṣṇa says, man-manā bhava mad-bhakto mad-yājī māṁ namaskuru (BG 18.65). We say the same thing. 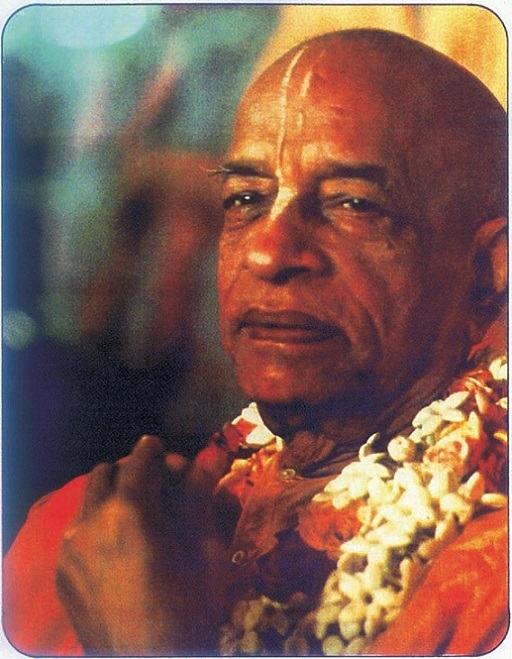 We ask everyone that 'You become a devotee of Kṛṣṇa. You think of Kṛṣṇa constantly. You worship Kṛṣṇa. You offer your obeisances unto Kṛṣṇa.' So this is favorable. If we preach what Kṛṣṇa said five thousand years ago, that is favorable. That is Kṛṣṇa consciousness." "You mentioned in your letter that you had read many other Bhagavad-gitas before you read mine and that none of them revealed as much to you as Bhagavad-gita As It Is. The reason is because we do not change the actual meaning of the gita at all. Many other commentators due to poor fund of knowledge tamper with the lines of Bhagavad-gita and twist the meaning for their personal motives, but we do not do like that. We present it exactly as it is; without any additions or subtractions. That is perfect in every way and therefore it is actually having a tremendous effect all over the world. The original words of Lord Krishna have unrivalled potency and anyone who is fortunate enough to hear those words and tries to apply them to his life becomes perfect."